Horse Welfare: has this week been just a little too ironic? Duty of care in horse welfare: we haven't got it quite right yet and we can't really argue otherwise. 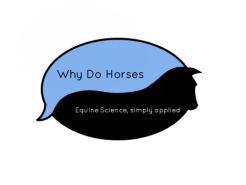 Louise Napthine is an Equine Science Writer and Coach. She writes on Equine Behaviour, Training and Welfare.